Hot rod your Strat or Tele! Most important is the sound. The Fast Track 1(TM) has the same open top- end as a single-coil with a tighter- more focussed bass response. Picking dynamics are intact too: Fast Track(TM)s speak with the sensitivity of your favorite single-coil, only about twice as loud. All basic Strat-type replacement situations. The dual radiused blade polepieces will handle all string-spacing requirements, and the magnetic field creates a very even string-to-string balance. For any situation where single-coil sound with higher power and hum-cancellation is required. Can be used in any position in a standard Strat setup. 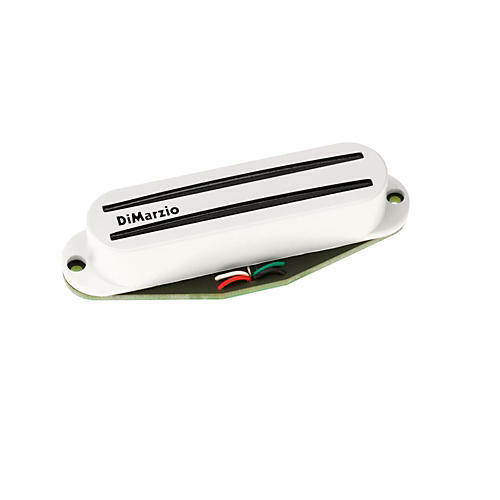 Also combines with bridge humbuckers such as PAF, PAF Pro, Fred, Air Classic(TM), Air Zone(TM), Norton, and Tone Zone.